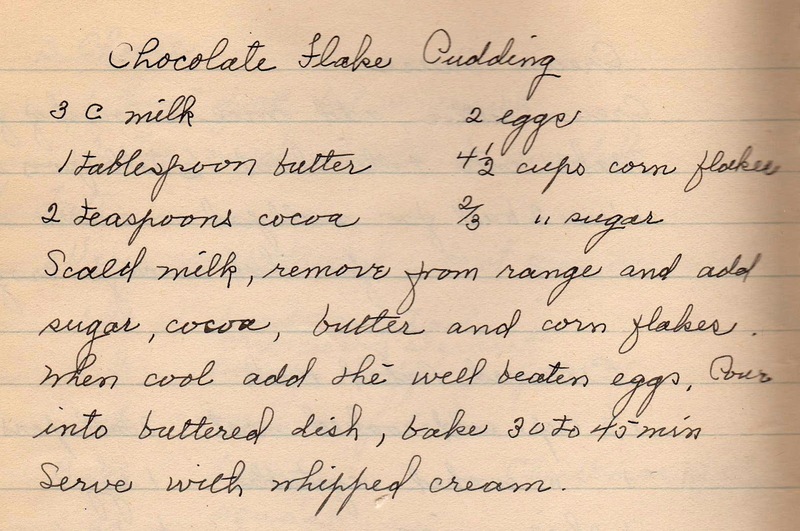 Chocolate Flake Pudding -- the flake is actually corn flakes -- is breakfast and dessert rolled into one, and whose intent must have been to pile on the calories. I found the recipe in a composition book, filled with carefully handwritten notes (and plenty of recipes) from a 1935 cooking school class. 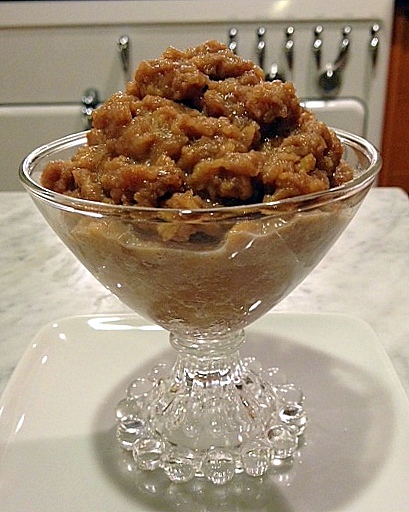 This pudding is the perfect food to feed a child who needs to gain weight. It has relatively little sugar, and lots of milk, eggs and cornflakes. The DH and I found it mighty addictive. The texture is unusual, but not in a bad way, and the flavor is quite nice. So, if you feel like taking the plunge, photos and directions follow. It starts like traditional pudding, with milk, sugar and cocoa powder. Then, comes the corn flakes. Pour the pudding into a buttered casserole dish and bake at 350 for about 35 minutes. When it's done, it will look like this. It's ok if it's a bit jiggly in the center. It is pudding, after all. 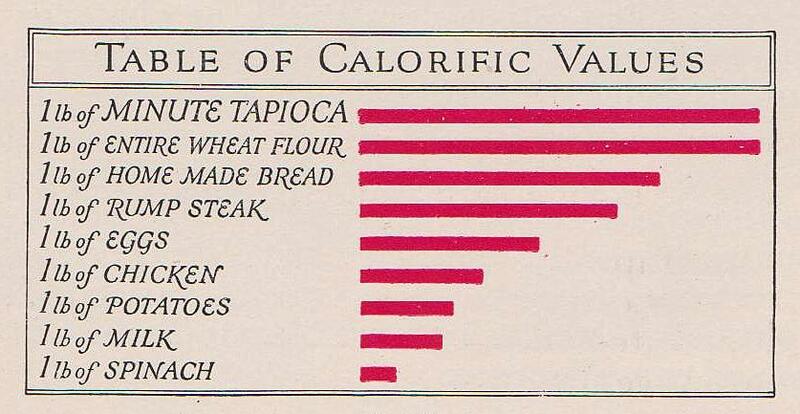 *If you don't believe me that calories were king in some circles, here's a chart from a 1923 Minute Tapioca recipe book boasting of the high calorie count of tapioca. appropriate pyrex for this dish! So true, Margi. I have a lot of vintage pieces (this one from my mother) and I'm going to start incorporating them in my photos (instead of letting them collect dust on my shelves).